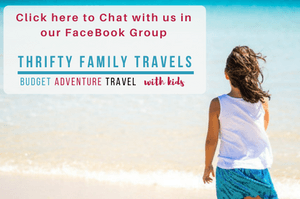 In anticipation for our Japan family holiday later in the year, we asked a few fellow travel bloggers for their tips with regards to the best things to do in Japan with kids. 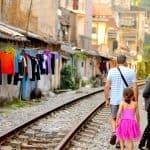 Given we are visiting Tokyo, Osaka, Kyoto and Hiroshima we specifically asked for tips on things to do in Japan for kids around these areas. 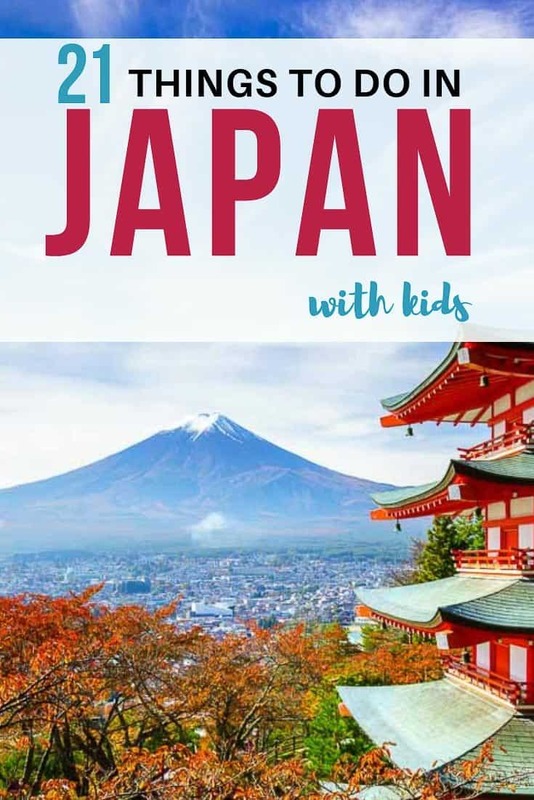 If you’re planning on visiting Japan with kids as well you will no doubt find this article super helpful in your own itinerary planning. 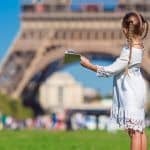 There are so many great things for kids to do in Japan, that we can’t name them all – but here are 21 suggestions from my fellow travel bloggers. Check out some of the best things to do in Tokyo with kids, as well as in the surrounding areas. When it comes to Tokyo attractions with kids – Sanrio Puroland has to be high on the list! Located closer to Kanagawa Prefecture than Tokyo itself, it’s only a 30-minute train ride from the Shinjuku Station. Sanrio Puroland is also very baby friendly. There are nursing facilities on the basement floor, and diaper changing rooms are in most bathrooms, which makes things a bit easier. Unfortunately, strollers are not allowed inside, so you’ll need to leave it at the information centre on the 1st floor. So, a baby carrier is highly recommended. My daughter was only 9 months when we went, and we didn’t bring our carrier which was a big mistake, and the price we paid for not doing our research! Our favourite area overall was actually the restaurant on the 3rd floor. The food, although pricey, is all Hello Kitty themed, and is ridiculously cute and surprisingly good; which is pretty rare for themed restaurants. As for attractions, our favourite was the Sanrio Character boat ride on the 2nd floor. It scared my daughter a bit in the beginning, due to the music and the moving Hello Kitty characters, but she got used to it in the middle of the ride and enjoyed the last part. This also happens to be the most popular attraction here, so expect long lines. 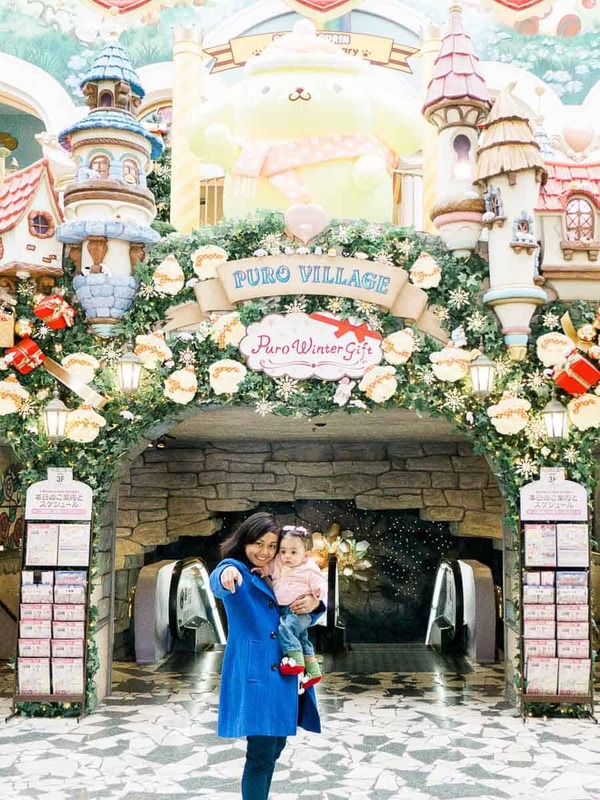 Overall, Sanrio Puroland is a great indoor attraction if you’re visiting Tokyo with kids during rainy days, and Sanrio fans of all ages will undoubtedly find something to love! Getting there: The easiest and simplest way to get there is to take the Keio Line from Shinjuku Station to Keio Tama Center Station. It’s a 30-minute train ride if you take the “Semi-Express” train bound for Hashimoto, and it costs about 320 yen one-way. From Keio Tama Center Station, Sanrio Puroland is about an 8-10-minute walk. You can also take the Odakyu Line but it’s slightly more expensive at 370 yen, and the ride takes longer. 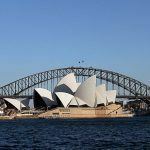 At the time of publishing adult tickets were $47.81 AUD and for kids $33.97 AUD – however you can save a stack by booking through Klook where tickets are $24.89 AUD per person. Click here to get your discounted tickets. Opening hours: Take note that Sanrio Puroland is usually closed on most Wednesdays and Thursdays of the year. So be sure to always check their calendar. Dubbed as “the happiest place on earth,” Tokyo Disneyland is a must-visit when traveling to Japan’s capital city. This 115-acre (47 ha) theme park is located at the Tokyo Disney Resort in Urayasu, Chiba Prefecture. It was opened in 1983, as the first Disney theme park outside of the United States. 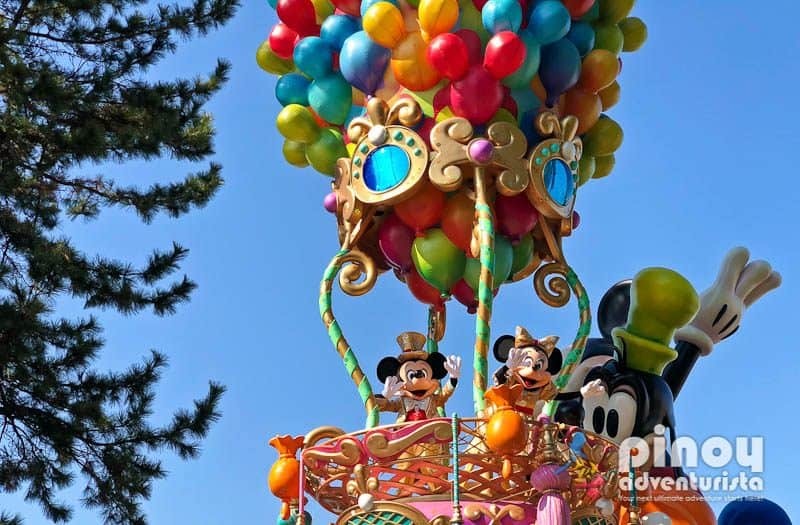 Tokyo Disneyland is made up of seven themed lands that includes Adventureland, Westernland, Critter Country, Mickey’s Toontown, Tomorrowland, World Bazaar, and Fantasy Land. It also features seasonal decorations, events and parades. There are lots of rides that you can choose from. They have rides that are kid-friendly, and there are also rides for people who like extreme experience. It’s definitely an awesome place that the kids, “kids-at-heart,” and the whole family will surely enjoy! The park’s opening hours is from 8:00 am to 10:00 pm. To maximize your time, l highly suggest that you arrive at the park at least 30 minutes to an hour before the park’s opening time. Also, avoid weekends and holidays. The park may be overly crowded during weekends and holidays. 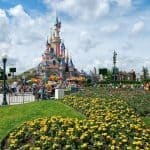 How to get to Tokyo Disneyland? You can easily reach it by taking the train to Maihama Station. At the time of this publishing, tickets for adults were 7400 yen ($93.16 AUD), juniors (12-17) are 6400 yen ($80.57 AUD) and children (4-11) are 4800 yen ($60.43 AUD). Click here to purchase your tickets online. Japan is the birthplace of karaoke, so it is only fitting that you visit a karaoke box while you are there. It’s called karaoke box because each group gets a private room. You can let loose without worrying about what strangers will think. Even in Japan, you can find a wide selection of English songs. Most places have kids songs too. 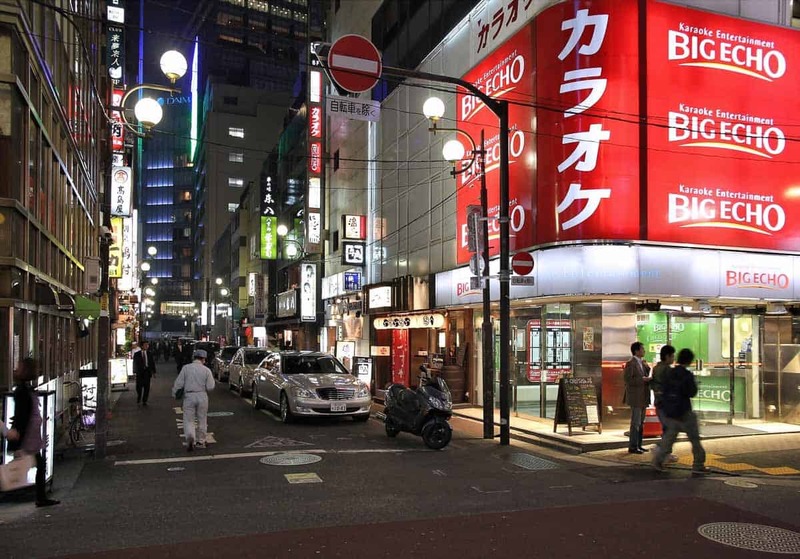 Big Echo and Karaoke Kan are some of the popular chains of karaoke boxes in Tokyo. When you arrive, check in at the front desk to get a room. The rooms are rented by the hour and the rate varies depending on the number of people and the place. Most places multiple floors, so the pay attention when they take you to your room. Inside the rooms, the kids can dance and be as loud as they want. Most rooms come with two microphones and some will have musical instruments like a tambourine. If you have any issues with the karaoke equipment, you can reach the front desk using the phone inside the room. Drinks and food can be ordered on the phone too. It’s a guaranteed fun time and you won’t want to leave! Have you ever watched any Studio Ghibli movies? 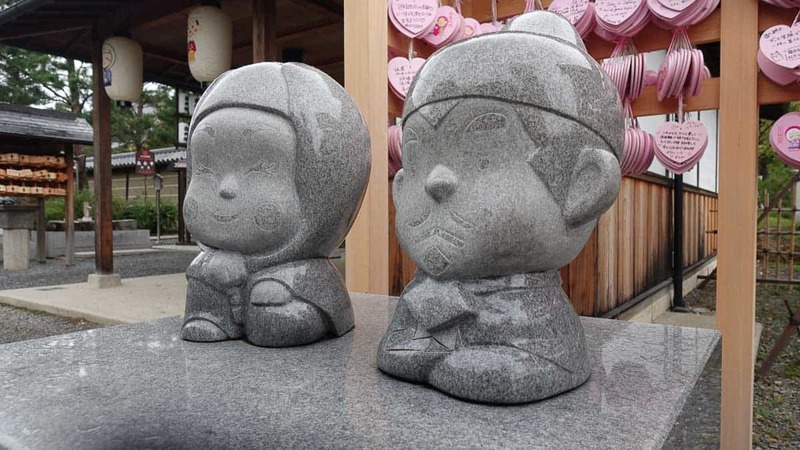 They’re the brainchild of Hayao Miyazaki who has often been called the Japanese Walt Disney. The Ghibli Museum is dedicated to the creation of these beautiful, timeless films, and you can get to it easily from central Tokyo. It was one of my kids’ favourite things to do in Japan. At the museum you can explore exhibits on the animation process and look at props from the movies. There’s an animated short to watch in the on-site cinema, and best of all for the kids, there’s a life size Cat Bus to play on! The building is just as beautiful as the films and it’s filled with hundreds of tiny details which will delight any fans of the movies. Don’t forget to go up on the roof to meet a robot guardian and look out for a huge Totoro figure by the entrance. 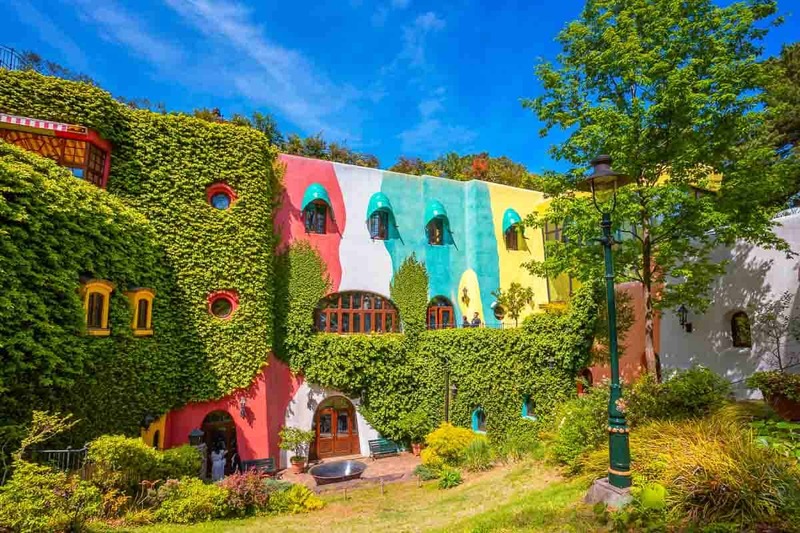 The Ghibli Museum is in the Mitaka area of Greater Tokyo. It’s an easy journey on the train to get there. While reaching the museum is easy, don’t just turn up on the day without tickets. You must buy tickets for the Ghibli Museum well in advance of travelling to Japan – this is something you’ll have to plan about 3 months before you go! There are several different ticket options and prices vary hugely. The Ghibli Museum is open from 10am to 6pm throughout the year, and it’s closed on Tuesdays. The Robot Restaurant in Tokyo is a fun Place to go for all ages, and it will give you a memory for Life. 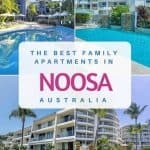 It is considered a Tourist trap by many, but don’t worry, you won’t be disappointed if you’re looking for entertainment. The Robot Restaurant is not really a restaurant per se; you can order food to eat during the show, but I wouldn’t come here for the food. It’s all about the Robot show and the performing actors. They will put on a display that will give happiness and fascination. During the show you can expect glowsticks, neon lights, dancing robots, roleplaying actors who will fight each other. Giant robot turtles and dragons who will be blasting out fire and much more. The only time I wouldn’t recommend a visit here is if you have epilepsy. Otherwise, make sure to book this robot show while visiting Tokyo! It’s a surreal experience, and for the first 10 minutes you will have no clue on what to look at, but you will definitely enjoy it. 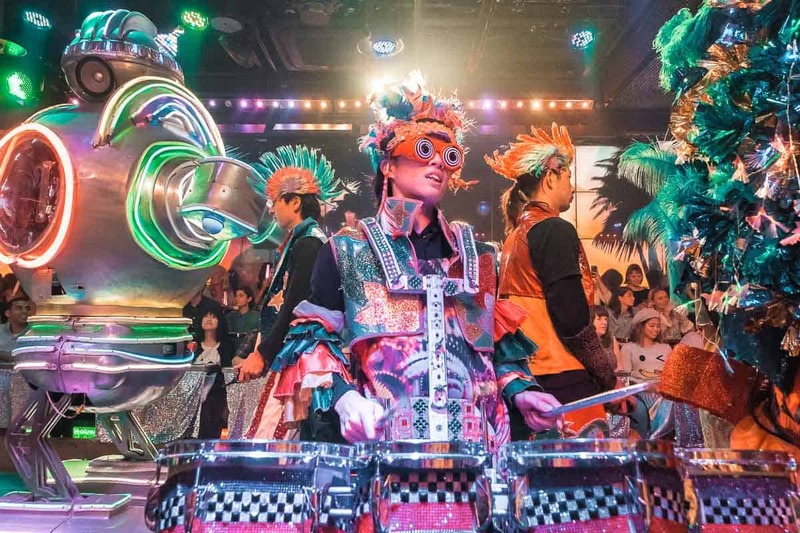 The Robot Restaurant Show is basically not something you can explain properly with words, you need to experience it yourself. Come here with an open mind and just be blown away of the crazy things you will see during the show! There are several performances every day. The tickets are quite pricey at 8000 yen per person ($100 AUD), however Klook has some great prices with tickets for $66 AUD per person. Click here to purchase your ticket online at a discounted rate. The Robot Restaurant is easy to get to from Shinjuku Station since it’s located in the Kabukicho area, about 5 minutes walking from the station. The restaurants in Japan almost always have plastic food replicas so people can see what they’ll get before ordering. They’re so realistic and beautiful, we always wondered how they were made. When we found out there were factories that offered classes to teach people to make those plastic foods, we jumped right in! We did ours at Yamato Sample Seisakusho, a factory in Ikebukuro (Tokyo). It was light, fun, and challenging, and our instructors were awfully nice and encouraging. The workshop took around an hour and we each went home with a lovely parfait sundae! They offer various different workshops, with different difficulties age limits and prices, but they cost at most $25 per person per workshop, and it’s something you can only find in Japan! There’s no parking on the street, but there are paid parking stations nearby. We recommend you take the train to Ikebukuro Station, though, and walk the 10 minutes to the space. It’s a lovely walk through a less touristic and more authentic Japanese neighbourhood. It was the perfect workshop for us, and it resulted in just the best souvenir! It’s one of our favorite memories from traveling around Japan with kids! If you are in Tokyo during cherry blossom season, there are hundreds of places where you can go to see the cherry blossoms. One of the favorites, among Tokyoites and visitors as well, is to watch the cherry blossoms from the boats on the Edo castle moat. The impressive walls of the Imperial Palace, combined with the steep slopes into the wide moat, must have been forbidding to any would-be attacker. But age has been kind to them and the cherry trees that hang out over the water release their petals to create a pink mat on the water. Going out on the moat in a boat is a favorite dating spot for Japanese young couples, but the lines can be long and you may have to wait until evening. Which is actually a good idea, because during the sakura season, the cherry blossoms are lit up. The boat rental closes already at 1730, although they may be open longer during cherry blossom season. It costs 500 to rent a boat for 30 minutes, 1000 for an hour. This is a public park but toilets are not that easy to find. You have them in the boathouse and the subway stations (Hanzomon or Kudanshita are the closest) so if your child needs an urgent diaper change the best option may be to find a café near the subway stations. Check out some of the best things to do in Osaka with kids, as well as in the surrounding areas. Universal Studios Japan is a theme park in Osaka that’s fantastic for kids, especially those over age seven. 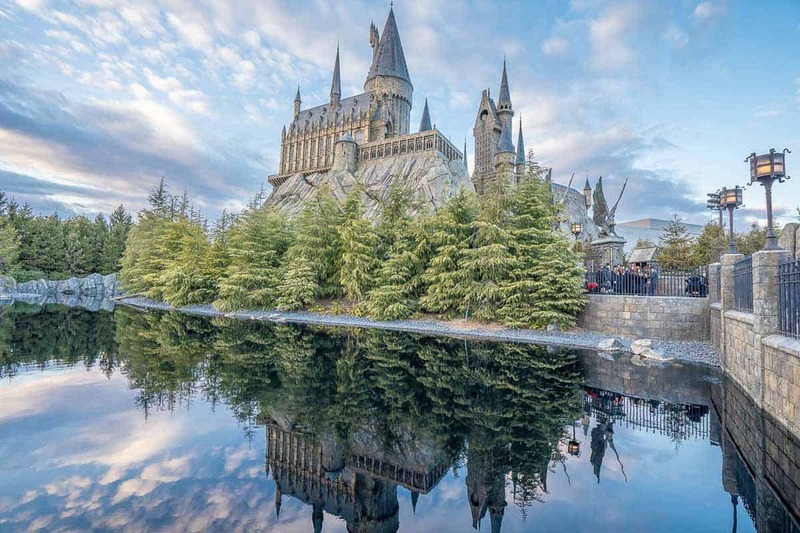 Harry Potter fans will love the Wizarding World of Harry Potter—even if they aren’t tall enough to go on the intense Forbidden Journey ride, there is plenty to explore in this magical world of snowy cobbled streets including shopping for sweets in Honeydukes and jokes in Zonkos, and drinking a pint of butterbeer. If you buy a magical wand you can also create your own spells and light up chimneys or make it snow. Elsewhere in the park, thrill-seeking older kids will love the The Flying Dinosaur and Hollywood Dream rollercoasters and the Minion ride. Toddlers will enjoy the Snoopy and Elmo themed rides in the Wonderland area. Universal Studios is easy to reach from the centre of Osaka and shouldn’t take more than 30 minutes—Universal City Station on the JR Sakurajima train line is only a 5 minute walk from the park. A one day ticket costs from 7,400 yen ($93 AUD) for adults and 5,100 yen ($64 AUD) for kids aged 4-11 years. The park gets very busy so it’s best to buy your tickets in advance and perhaps consider an Express Pass which allows you to skip the queues on certain rides. 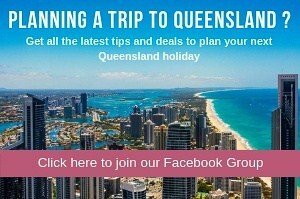 You can click here to book your tickets online. You definitely want to arrive at least 30 minutes before the park opens (usually 8.30am or 9 am) and head straight to one of the popular rides. Park opening times vary but it’s usually open until 8 or 9pm. Avoid weekends and national holidays as queues will be insanely long. Your kids will have fun channelling their inner “Shogun” at Osaka Castle, which is an impressive landmark in Osaka. 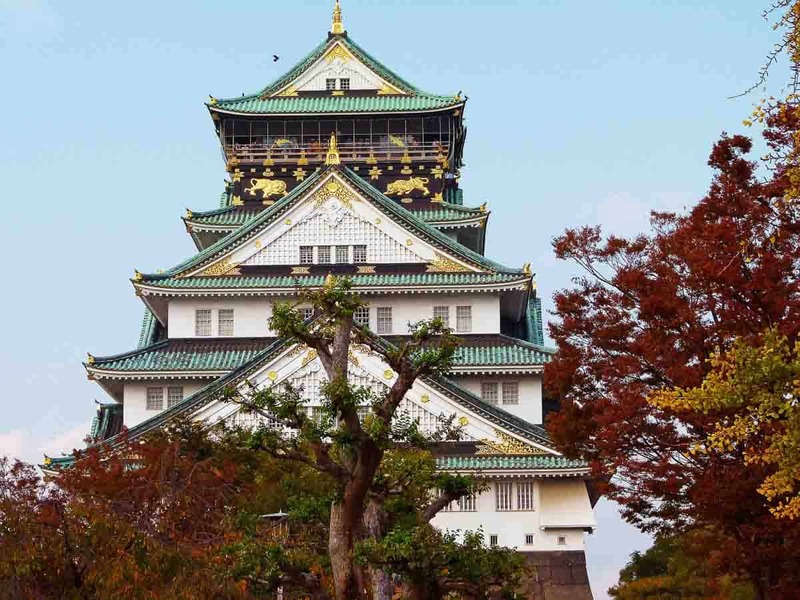 The castle is an attraction that should definitely be part of your Osaka itinerary when visiting Japan with kids, as it’s a great place to learn all about Japan’s fascinating Samurai history. Osaka castle was built in 1583 by one of the most famous Samurais in Japan, Toyotomi Hideyoshi, and burnt down in 1615. Although the current castle is a reconstruction of the original, it’s still a symbol of the golden days of Japan’s Samurai. The Samurai were warriors who were expert swordsman and during the Edo Period (1603-1867), they became the ruling class. Inside Osaka Castle is a modern museum with interactive displays and galleries where you can see Samurai armour, helmets and kimonos. There’s also an observation deck on the top floor where you’ll get a pretty good view back towards Osaka. One of the fun things to do in Osaka Castle is to dress up as a Samurai (500 yen each person), which might be a special treat for teenagers. Osaka Castle Park, the grounds around Osaka Castle, is a green space for kids to run around outdoors even if you don’t intend on entering the castle. The sight of the castle from the grounds, especially during Cherry Blossom season, is fantastic. Where: 1-1 Osakajo, Chuo Ward, Osaka, 540-0002, Japan. Entry Fee: ¥600 (free for children under 16) and is included in Osaka Amazing Pass. Click here to purchase the Osaka Amazing pass. Opening hours: 9am to 5pm (last entry 4:30pm). 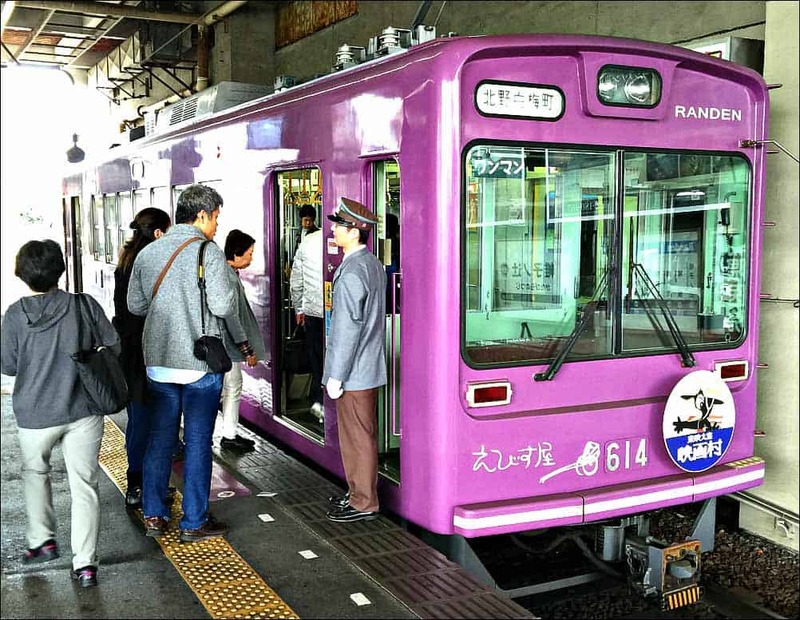 Getting to Osaka Castle: Take the JR Loop Line train to Osakajokoen. The castle is about a 20-minute walk from the station. Alternatively, take the subway to Tanimachi 4-Chome Station on the Osaka Metro Tanimachi and Chuo Lines. The castle is a 17-minute walk from exit 1-B. The Cup Noodle Museum and Factory is located in the birthplace of instant noodles, Ikeda, near Osaka. It’s easy to get to and just a few minutes’ walk from the Ikeda JR Station. The museum is free to enter and is open from 0930 – 1630. The museum is closed on Tuesdays. 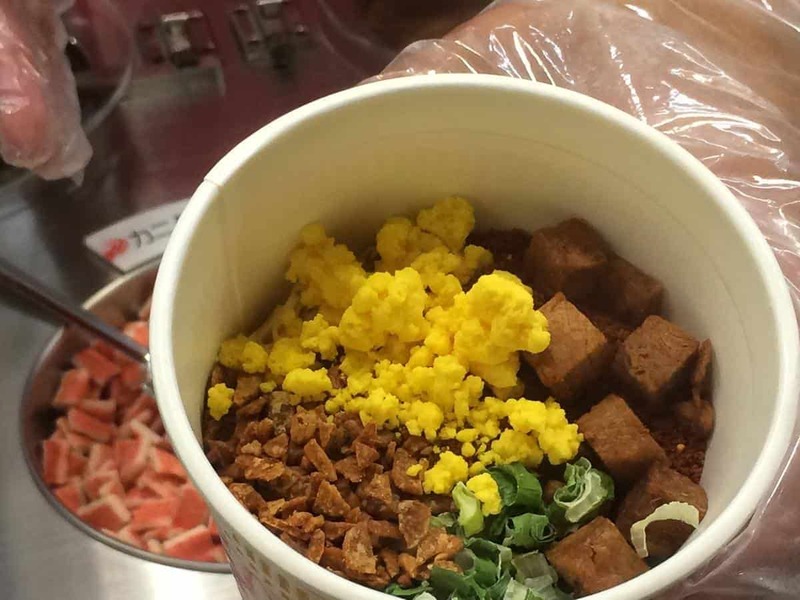 This museum lets you walk through a time tunnel of instant and cup noodles and takes you through the process of how and when instant noodles were invented. The piece de resistance is the fact that you can then pay 300 yen per person and step into the cup noodle “factory” and not just design your own pot, but also design your own flavour of noodles! You start by designing your cup, then walk around the “factory” and decide what you’re going to put in your cup noodle. Big and small kids alike will love being able to pull the handle to put the noodles into your pot. Once your cup noodle is complete, you’ll carefully put it into the packaging and you get to take it home with you. Your own design cup noodle tastes more delicious than you can ever imagine! Remember Bambi? This was the shy, cute little Disney cartoon deer. The tame deer in Japan’s Nara Deer Park are also cute, but they are not shy at all. They will come after you for food quite aggressively. These beautiful animals have grown accustomed to humans feeding them and they will demand a treat if not immediately forthcoming. It’s really something to see a park with hundreds of tame deer roaming about. That’s what you see in Nara Deer Park. Built in the 1300s – yes, you read that right – this park is a perfect day trip from Kyoto or Osaka. As Nara was once the capital of Japan, it is full of history, culture and museums worthy of its historical status. The city also has beautiful temples and one of the world’s largest Buddhas. These are surrounded by acres of manicured gardens and landscaped ponds filled with large koi and turtles. 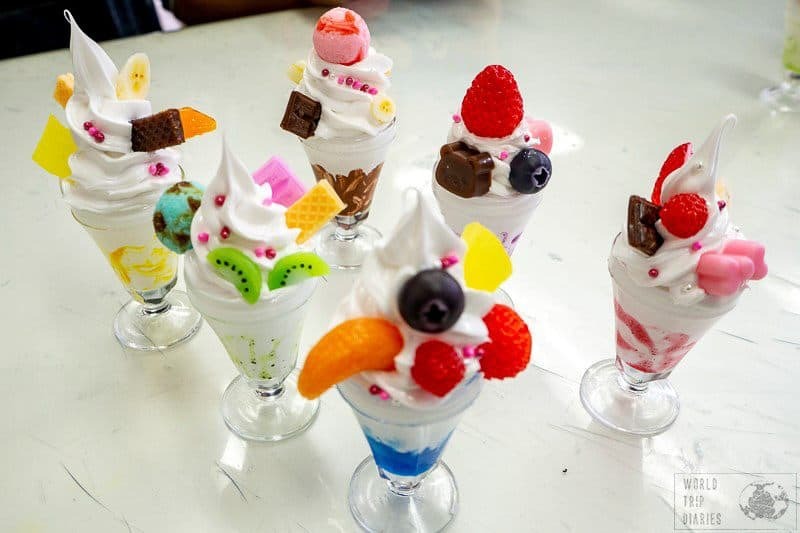 When you visit, make sure to also take the time to sample the wonderful assortment of ice creams in unusual flavours like seaweed, whisky, jasmine and more. It’s remarkable how close the ice cream flavours come to the real thing! Nara Deer Park is very easy to get to from either the Kyoto or Osaka train stations. The park is just a pleasant 10-minute walk from the Nara Train Station. Make sure to get your map at the station and take the opportunity to use the free WI-FI. Check out some of the best things to do in Kyoto with kids, as well as in the surrounding areas. 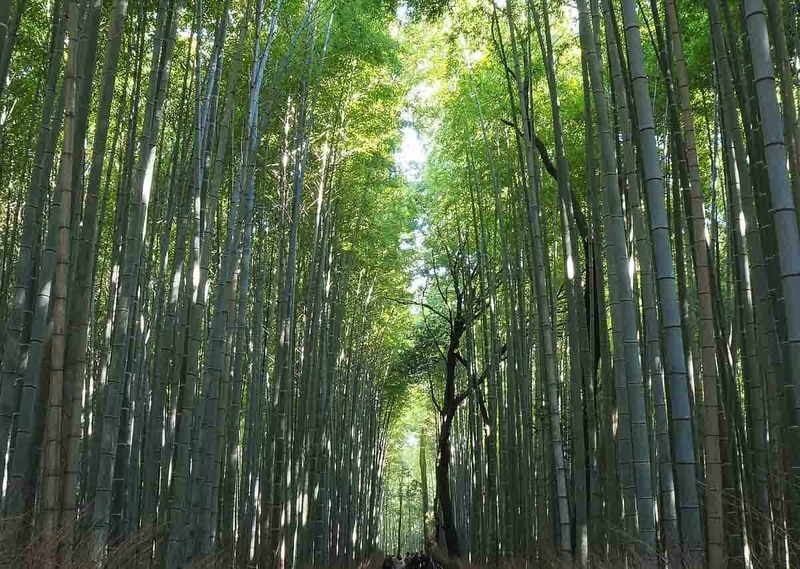 A stroll through the Arashiyama Bamboo Forest is a unique experience in Japan and one of many free things to do in Kyoto with kids. A single short path weaves from the main street of town through the forest to the base of the hills. The sound of the bamboo creaking and the leaves rustling in the wind is eerie yet peaceful. Take your time meandering through the forest before exploring some of the other highlights close by. Near the entrance to the bamboo forest is Tenryu-ji Temple, with one of the best examples of Zen gardens in Kyoto. There is a small entrance fee to stroll through the garden. At the top of the grove there are two options. Turn left to walk through the park and down to the river where the kids will enjoy watching the small traditional boats ply the river. Or turn right and walk a little further up the hill to Okochi-Sanso Villa. With spectacular grounds, a tea house and one of the best examples of Japanese architecture, it is worth the 1,000 Yen entry fee. Note that the Arashiyama Forest is one of the most popular destinations for visitors to Kyoto and can get very busy. Like so many attractions in Japan it is best to go early to avoid the crowds. Getting to the Bamboo Forest is an easy 30 minute train ride from Kyoto. If you have a JR Pass take the JR train on the Sagano line from Kyoto station. The forest is a 10 minute walk from the station past a dizzying array of souvenir stores that you (and the kids) won’t be able to resist browsing through! Kodaiji Temple may not be one of the most popular sites in Kyoto, but it is still one of the most unique and fun place to visit in the entire city.The temple grounds are beautiful and serene to simply wander through and pause for a moment of stillness. With its impressive zen gardens and bamboo lined pathways, you can’t help but feel at peace at Kodaiji Temple. But if visiting Kyoto with kids, the real joy of Kodaiji Temple is the hands-on cultural lessons that you and your kids will be able to experience. Throughout the temple complex, you’ll find various Japanese rituals that you can participate in. These traditional rituals are believed to bring good fortune, luck, love, and even healing to those who follow the simple steps. It is an interactive, educational look at the religion and practice of Zen Buddhism. Although often missed by tourists, Kodaiji Temple is considered one of the most recognized temples in Kyoto, and has a beautiful backstory, as well. The temple was built in the early 1600s by a grieving widow to honor her husband, an ancient Japanese warrior. You can find wooden images of the warrior and his loyal wife forever enshrined together in the temple’s memorial hall. It doesn’t take a lot of time to tour Kodaiji Temple and its grounds, and you and your kids will be glad you did. The streets in the Gion district are lined with beautiful wooden facades that often hide expensive teahouses and fancy restaurants. These establishments attract a high-heeled clientele, exactly the clientele that can afford the services of a Geisha. The existence of these posh establishments explains why the Gion district today is one of the last remaining real geisha districts. This makes it also one of the best places in Japan to spot a Geisha. Geishas are remarkable appearances. Their richly decorated kimonos and perfect white faces with fierce red lips ensure a stunning appearance. 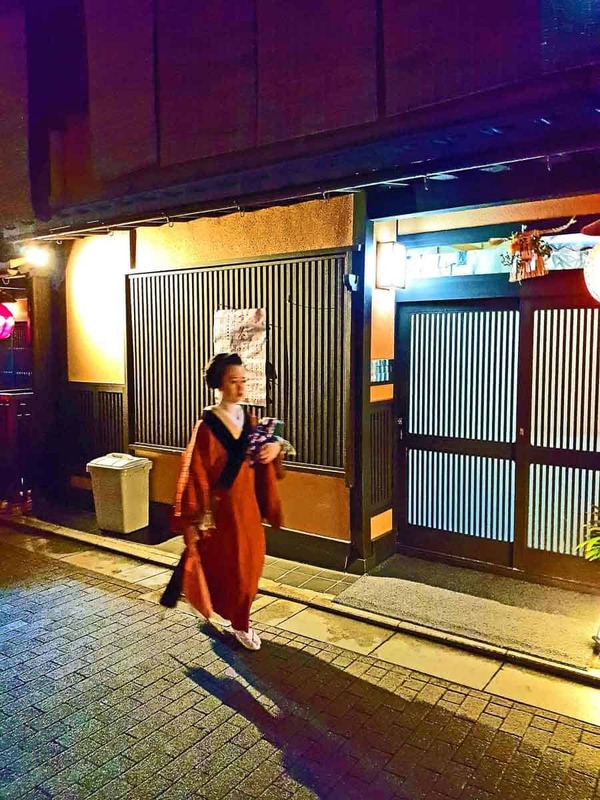 If your budget allows it you could book one of the shows that are especially organized for tourists or alternatively you could just take a walk around the Gion district at night. The latter is at least as much fun as the first. We loved wandering through the charming old streets of Gion, hoping to spot a Geisha with every corner we took. 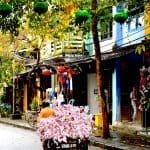 Walking through the authentic streets feels like you have been flashed back into time. With some imagination we could have been back in ancient Japan. We saw colorful cherry blossoms and magnificent temples but the icing on the cake were the 3 Geishas that crossed our path. It’s the perfect thing to do in Kyoto at night. 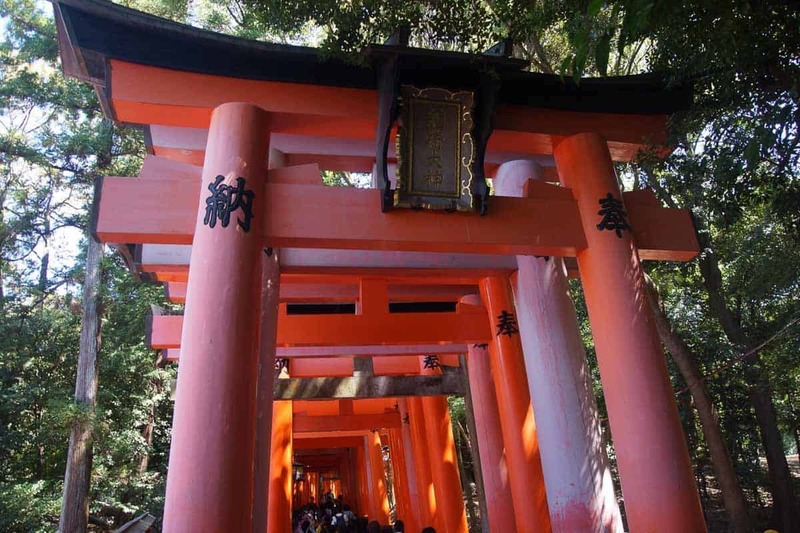 One of my favourite family friendly things to do when we were visiting japan was to visit the beautiful and iconic red Tori gates of the Fushimi Inari Shrine in the historic city of Kyoto!I know shrines don’t seem like the most child friendly place on the face of it however our toddler loved it and was very engaged in the process of worship at the shrine! Favourite activities for our little was watching the purifying stations and hunting for the iconic fox which is an emblem at the shrine! The shrine is very easy to get to from Kyoto as there are train and metro stations nearby. The shrine is located just outside JR Inari Station. If travelling with very small children I would recommend taking a carrier rather than a stroller because of the path you take up the shrine! To experience it at its best you should try to get as high as you can up the mount as you will find the crowds disperse more and more as you ascend! 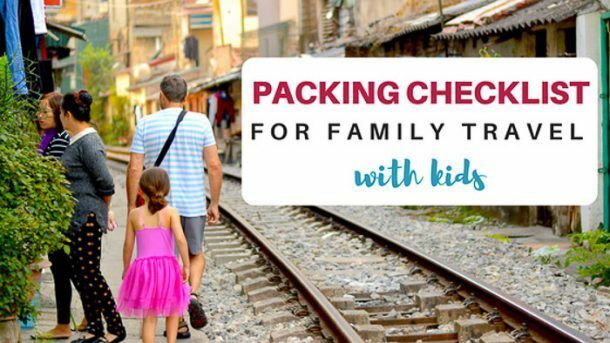 Top Tip for families visiting in summer : be sure to go early and pack plenty of water as the climb is long and the Kyoto summers get very hot and humid and can be very uncomfortable for littles! Kyoto’s old-fashioned Sagano Train travels between Saga and Kameoka Station. 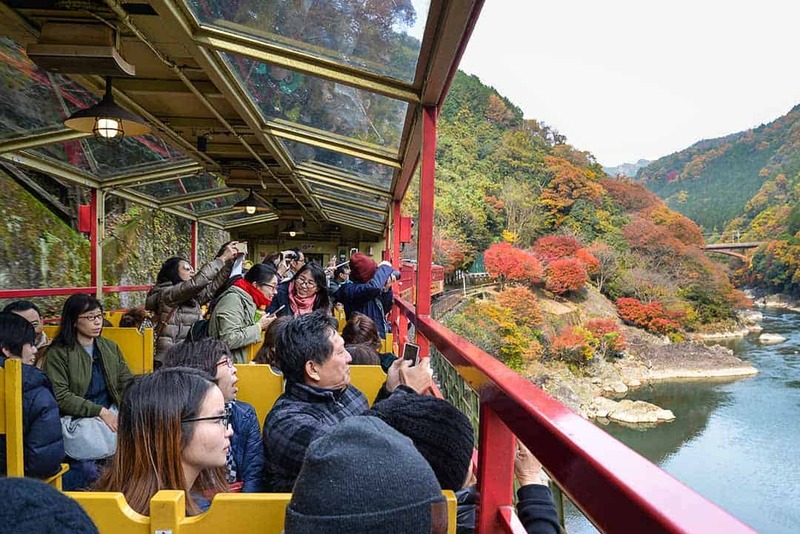 It’s in my opinion one of the best things to do in Kyoto if you enjoy being around nature, since the train passes through the beautiful forested Hozugawa Ravine where you also have a view of the Hozu River down below. The 7-kilometer ride takes about 25 minutes, as it travels along at a slow pace to give you plenty of time to take in the surrounding scenery. The views are stunning when you travel at the right time of year. In autumn the change in leave colors spruces up the surrounding forest, and in spring there are the cherry blossoms. The train does get crowded, and it’s important to pay attention to what seat you reserve, because the seat you’re in can make or break your view. Make sure you get a even numbered seat on the right side of the car – that’s where the best views are. You can also ask to reserve a seat in the open rail car for the most unobstructed view, assuming the weather is good. At the time of writing, the one way ticket was 620 yen, which you can purchase at Saga Station or at JR ticket offices. Alternatively, click here to book your tickets online and in advance. Tip: you can combine this activity with a visit to the Arashiyama bamboo forest and a Hozugawa river cruise. Once Kyoto was criss-crossed with tram lines, but today only the privately owned Keifuku Randen Line remains. Randen trams run on the East-West Arashiyama line and the connecting northern Kitano Line. Kids will love the jaunty shape and colour of the trams and with such cute conductor uniforms, you’ll be humming “Thomas the Tank” tune before you know it. Speaking of catchy tunes – listen for the stylized announcement jingles onboard. Starting at Shijo-Omiya Station and finishing at Keifuku Arashiyama Station there are fourteen stops on the Arashiyama line. If you love Ninjas, Samuaris, Geishas or dressing up be sure to leave the tram at Tenjingawa Station for TOEI Kyoto Studios. Meanwhile at Keifuku Arashiyama Terminus, you can soak your weary feet in a hot spring footbath. Joining the Arashiyama Line at Katabiranotsuji station, the Kitano Line heads north and east to it’s ninth and final station at Kitano Hakubaicho. Here you will find Kitano Tenamngu Shrine, quirkily known for it’s giant monthly flea market. In Spring the Kitano line tram slows as it passes beneath track-side cherry blossoms before stopping at the must-see temples of Ninnaji and Ryoanji. Randen Times: Every 10 minutes. Check out some of the best things to do in Hiroshima with kids, as well as in the surrounding areas. Hiroshima Peace Memorial Park is a deeply moving experience, located right in the centre of Hiroshima city the memorial is dedicated to those who suffered and lost their lives in the first ever nuclear attack. It is reported that up to 140,000 people perished on that faithful day, the 6th August 1945. However, this is not only here only as a memorial for those lives lost but also to advocate for world peace. 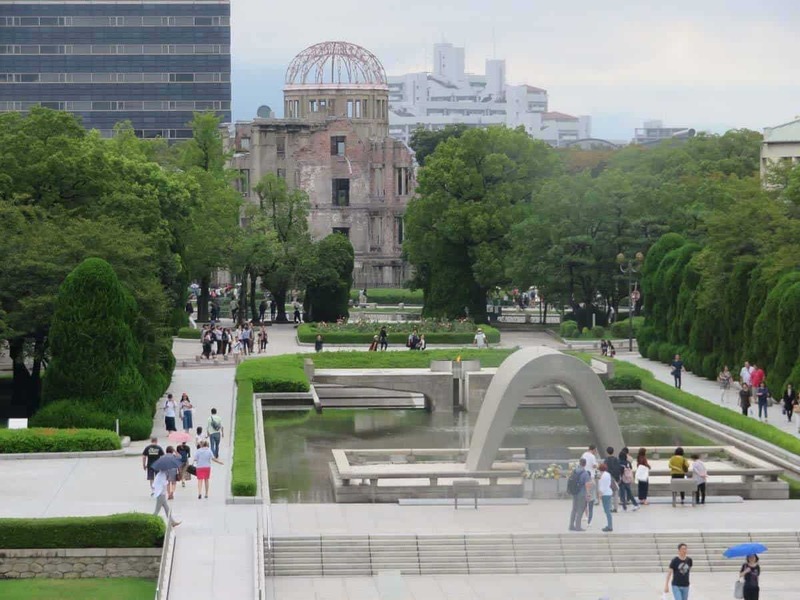 The Hiroshima Peace Memorial consists of the A-Bomb Dome, Children’s Peace Monument, Flame of Peace, Cenotaph for the A-Bomb Victims, Peace Bell, Atomic Memorial Mound and the Hiroshima Peace Memorial Museum. We travelled to Hiroshima on the Shinkansen from Osaka, travel time was 2 hours. When you get off the Shinkansen you’ll be greeted by station staff that will guide you on how to get to Hiroshima Peace Memorial Park. Hiroshima City provides a free tourist bus that runs around the main sites of Hiroshima, we went straight to the Hiroshima Peace Memorial Park as we only had one day in Hiroshima and I was keen to visit Miyajima Island as well. I would definitely advise people if they have more time to allow a couple of days in your itinerary for Hiroshima. Many parts of the Hiroshima Peace Memorial Park touched me, from the story of Sadako and the Children’s Peace Monument that commemorates her life and all other children that lost their lives that day. The significant A-Bomb Dome which is the exact spot the bomb was detonated and the Flame of Peace that will continue to burn until the worlds last nuclear bomb is destroyed. This is definitely a place that we can all learn from, the importance that we never see a memorial of this kind again. One of our favorite destinations to go to in Japan as a family is Miyajima island. 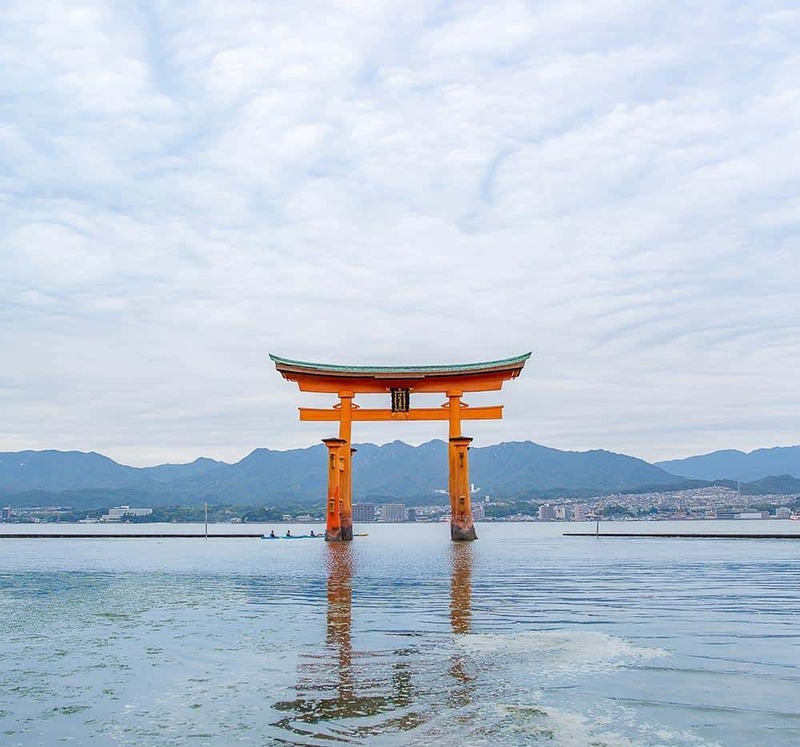 You’ve probably seen pictures of this island with its famous floating gate known as a Torii. A Torii is a Japanese gate between the normal every-day world and a sacred place. Miyajima island is located just a few miles from Hiroshima, so it’s a great idea to combine the two into several days. It’s a great place to escape the crowds in Tokyo or Kyoto. You can access the island easily by using your JR Pass to take the train to the ferry. Your JR pass also covers the ferry ride. Click here to purchase a 7 day Japan Rail (JR) pass. 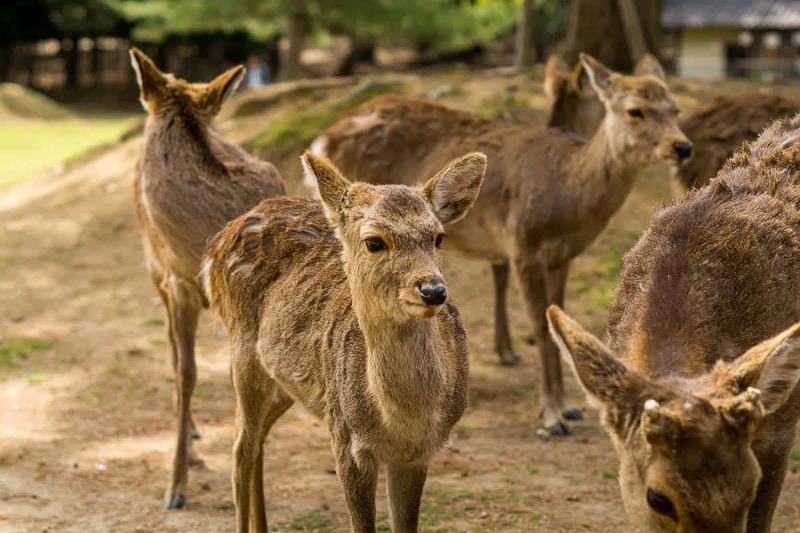 Once you arrive on Miyajima island, you’ll be greeted by the cutest sika deer who will want to eat all your food, but please don’t feed them. On the island, you can explore the Torii gate and view it while the tide is in (when it looks like its floating) and when the tide is out (watch for hundreds of hermit crabs). The island is also home to several shrines that you can visit and a tram that will take you to the top of the mountain. You can also hike to the top of the island as well. Be sure to try some classic Japanese food, as well as some more unique ones, like deer poop ice cream! Miyajima is famous for its maple shaped, cream-filled pastries called momoji, which are super tasty! Hoshino Resorts Tomamu is a fantastic place to take the kids in Japan. Tomamu is located on the second largest Japanese Island of Hokkaido. To get to Tomamu is a brief flight from Tokyo to New Chitose Airport, then a coach ride. Tomamu is a winter wonderland, and popular family ski resort, but there is so much more to do there. Mina Mina Beach is one of the largest indoor wave pools in Japan, and kids love playing on the big inflatables on the waves. 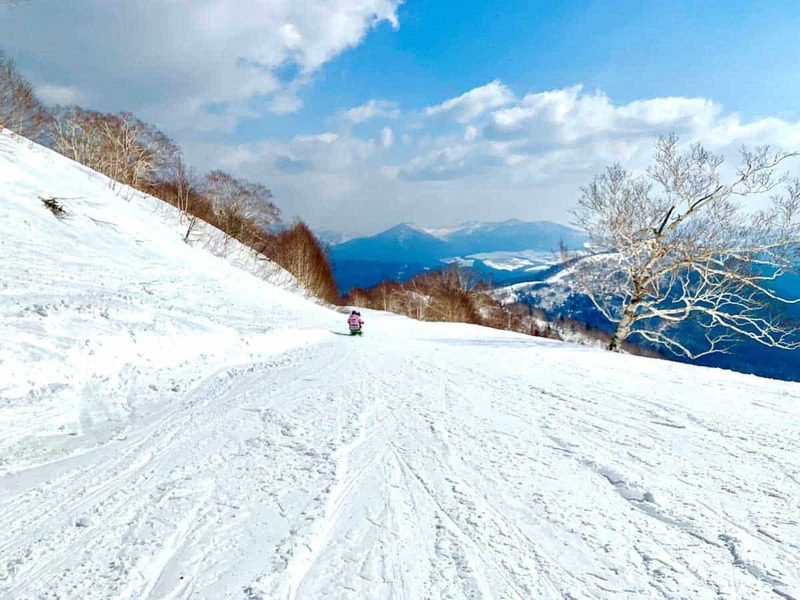 The Gao Outdoor Activity Centre has inflatable banana rides for the family, snow mobile hire and snow buggy tours of the back country, where the kids can make powder snow angels and spot local wildlife. Take a Unkai Gondola ride up the mountain to the Terrace of Frost Tree where you can see the snowy white trees, walk amongst the clouds and even ride sleds all the way back down the mountain! Perhaps the most spectacular place to take the kids in Tomamu is the world-famous Ice Village, where the kids can have ice chute rides, ice skate and explore the solid-ice village which includes a hotel room, shops and a church – amazing! Tomamu is a great family-friendly place to take the kids in Japan. Mount Fuji is often shy and shows her face only on clear days. Some days the white capped peak may be visible from hundreds of kilometers away but more often the mountaintop is hidden by low hanging clouds. Early mornings or late afternoons, especially during the colder winter months tends to better than during summer months. The mountain’s famous snow cap is typically visible from around November to around May. Since we were visiting Japan during December, we got to enjoy this epic view of Mt Fuji with its snow cap from many different places. But seeing it from the famous Chureito Pagoda was our favorite and something you need to add to your list when visiting Japan. 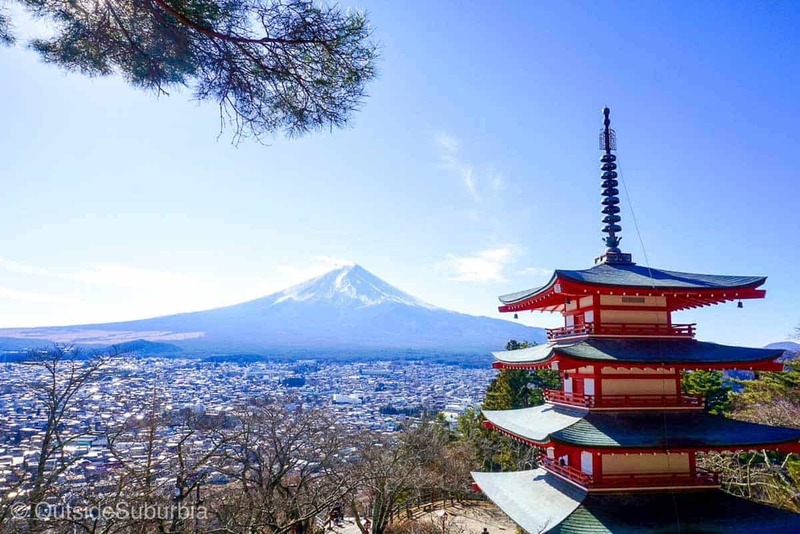 The Chureito Pagoda is a five storied pagoda on the mountainside overlooking Fujiyoshida City. 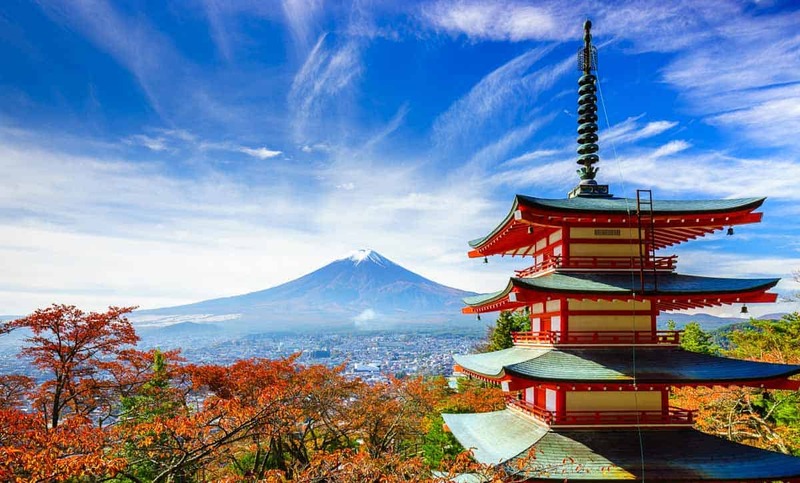 This pagoda is one of Fujigoko’s most popular cherry blossom spots where you can get beautiful views of Mount Fuji rising up through a sea of cherry blossoms. It is part of the Arakura Sengen Shrine and was built as a peace memorial in 1963. You will have to climb 400 steps up the mountain from the shrine’s main buildings, but the view is totally worth it. Buses are available but we hired a private car to get there.